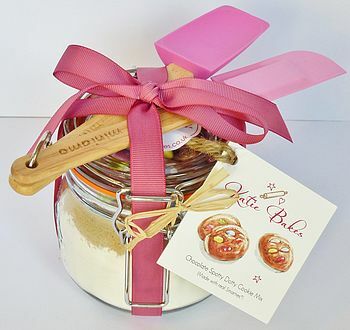 A gorgeous mini artisan baking gift set complete with a spatula/spoon set and baking mix jar. A perfect gift for adults or children who loves to bake. 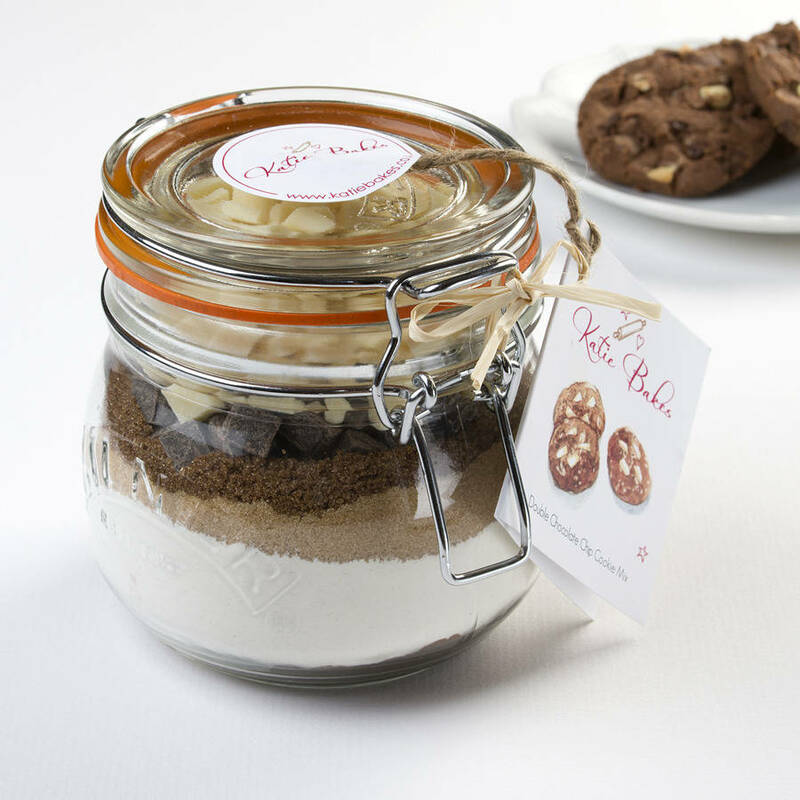 Our Mini Artisan Baking Mix Gift Set comprises a "Katie Bakes" artisan baking mix, attractively layered within a glass Kilner jar and a wonderful quality "Miniamo" mini silicone spoon and spatula set with wooden handles. The set is tied with a colour coordinated ribbon. Just requires the addition of melted butter and eggs to make delicious treats. 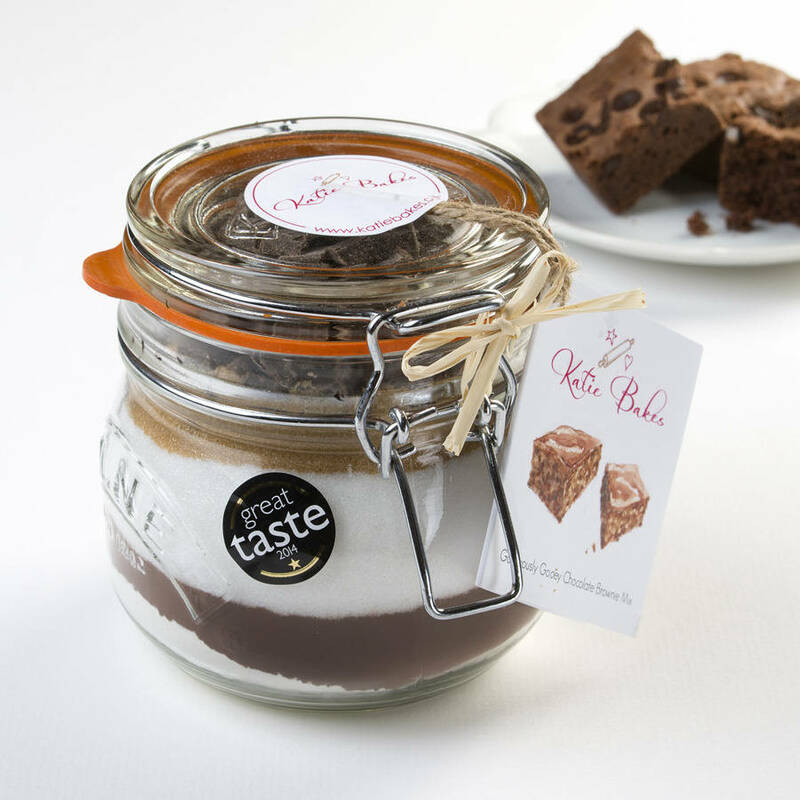 Please note that the baking mixes have a shelf life of approx 4-6 months from dispatch. Are you sending this as a gift? If so, why not add a gift tag at no additional cost. 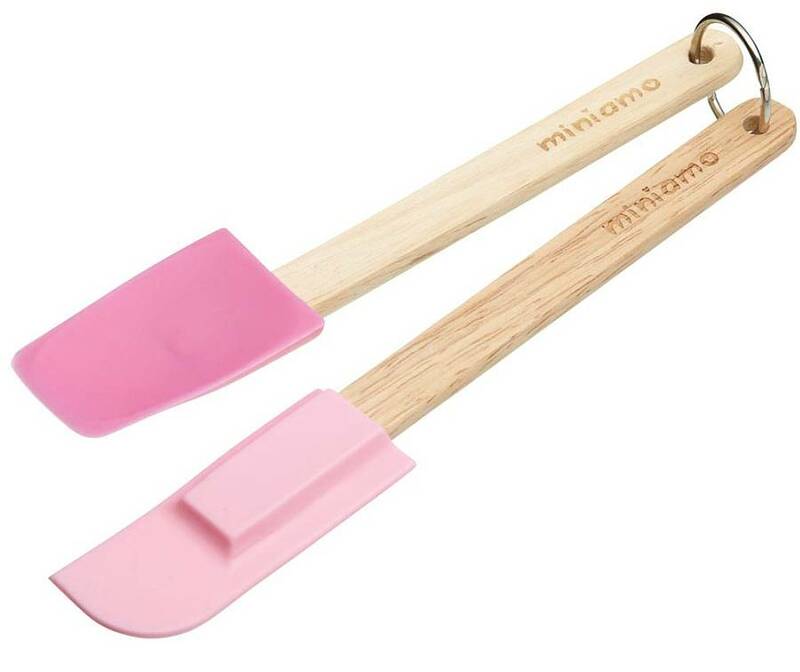 Spatula and Spoon set: silicone with wooden handles. Double Chocolate Chip Cookie Mix Ingredients: Flour, sugar, cocoa, dark Chocolate chunks, white chocolate chunks, bicarbonate of soda, salt. White Chocolate and Cranberry Cookie Mix Ingredients: flour, sugar, White Chocolate, Dried Cranberries and baking powder. Gorgeously Gooey Chocolate Brownie Mix Ingredients: Sugar, cocoa powder, flour and dark chocolate chips. Chocolate Spotty Dotty Cookie Mix Ingredients: Self raising flour, sugar, Smarties, Cocoa Powder. 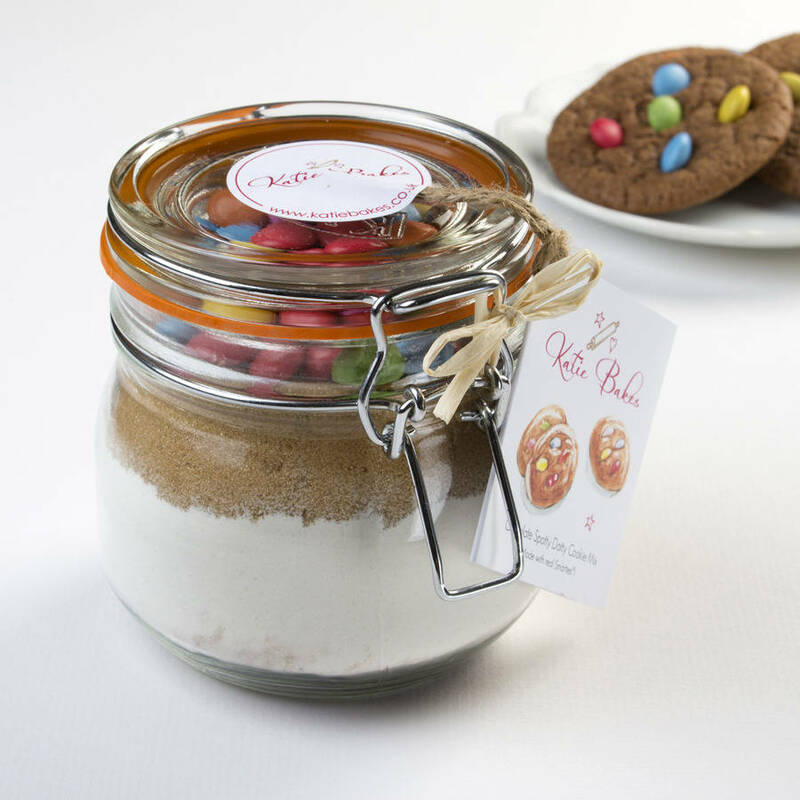 Baking mix contained in a 0.5l glass Kilner jar. 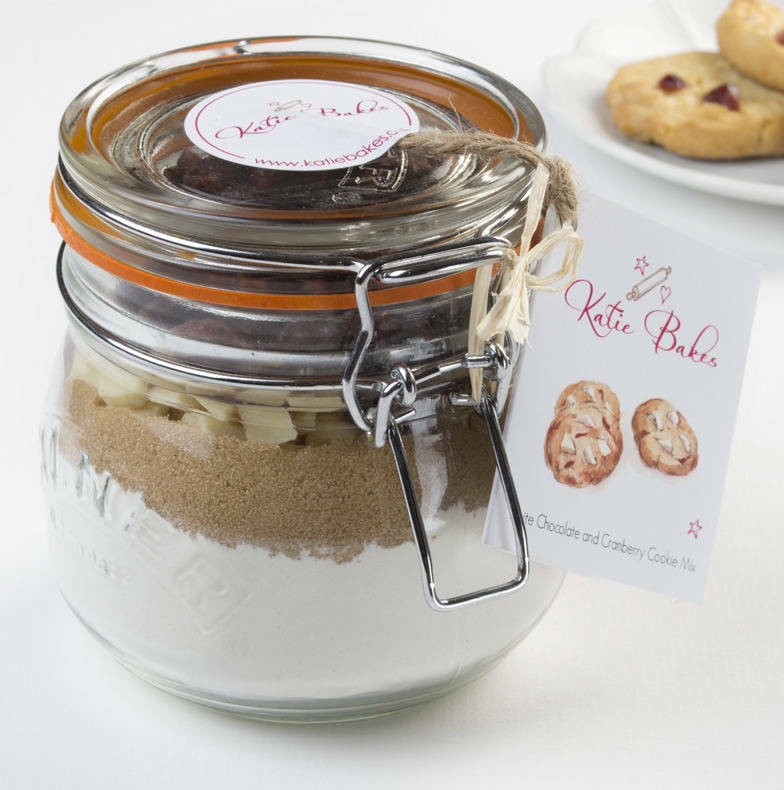 None of our baking mixes contain nuts however they are produced in an environment which handles nuts.